One of the main motivations for Newcastle United to join the Football League had been the hope that it would lead to larger attendances and increased income, but that didn't happen overnight. These days, the Magpies are backed by more than 50,000 fans every other week but at the beginning of the 1900s, crowds remained worryingly low. The directors at the time had to help the club through some tough times but it paid off as United survived and began to become a force in the Edwardian game. Newcastle started to purchase talented players, especially from Scotland, and soon had a star-studded squad capable of beating anybody in England. The likes of Colin Veitch (above), Jimmy Lawrence, Jock Rutherford, Albert Shepherd, Bill McCracken, Peter McWilliam, Jimmy Howie and Andy Aitken were all household names and played an entertaining brand of football. 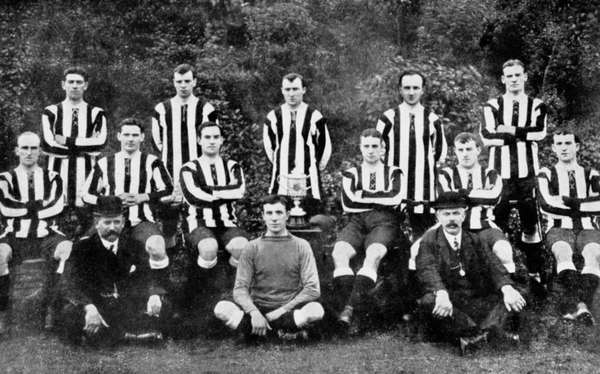 In 1904-05, Newcastle won their first Division One title. Two years later, they were champions again, and in 1908-09 they were again the best team in the country. They also reached the FA Cup final – played at Crystal Palace in those days – in 1905, 1906 and 1908, although finished as runners-up on each occasion. However, in 1910 United lifted the trophy for the first time. Barnsley led in the final up until the 83rd minute, when Rutherford equalised to force a replay. Five days later, at Goodison Park, two goals from Shepherd sparked joyous scenes among the travelling Geordie supporters. Newcastle reached another FA Cup final 12 months later, but lost Bradford City after another replay. After the First World War between 1914-18, Newcastle continued to enjoy plenty of success in the 1920s. They reached their sixth FA Cup final in 1924, defeating Aston Villa in only the second ever final to be staged at Wembley, then won the league for a fourth time in 1926/27. By then, Scottish international forward Hughie Gallacher had arrived for a record fee, and he played alongside the likes of Neil Harris, Frank Hudspeth and Stan Seymour, who was to become a hugely influential figure over the next 40 years as a player, manager and director. In 1932, United were back at Wembley in 1932 to face Arsenal in yet another FA Cup final. Newcastle won 2-1 – but in controversial fashion. They trailed 1-0 when winger Jimmy Richardson crossed the ball near the by-line for Jack Allen to equalise. However, photographic evidence later showed that the ball had gone out of play before Richardson’s cross. Allen scored again in the 72nd minute and the game became known as the ‘Over the line’ final. 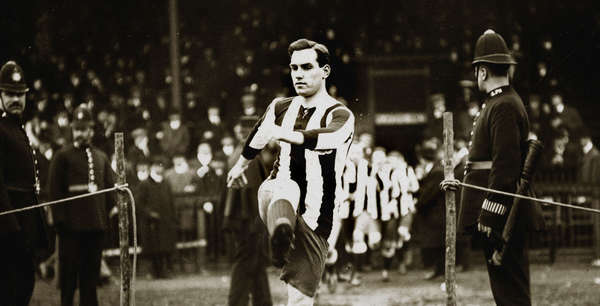 However, Newcastle’s fortunes took a turn for the worse after that and in 1934, they were relegated for the first time in their history – despite beating Liverpool 9-2 and Everton 7-3 in the space of a week that season. That meant a rebuilding process in the years leading up to the Second World War and in 1938, former winger Seymour was surprisingly appointed to the board to inject some fresh ideas into the club. It was he who arguably laid the foundations for United’s next great period following the turbulence of war.